The historic beginnings of the Rotary Club of Joliet is firmly rooted in the early development of Rotary International (RI), a global service organization with over 1.2 million members and more than 34,000 clubs worldwide. However, a little more than 100 years ago and nearly 65 years after the first settlers came to Joliet, RI was just being established in 1905 Chicago. Recognized as the “world’s first service club,” RI was an idea initiated by Chicago attorney Paul P. Harris, and originally included four members - Gustavus Loehr, Silvester Schiele, Hiram Shorey, and Harris. The Chicago group named their club Rotary, due to membership rotating their weekly meetings. The Rotary Club of Joliet became a notable part of RI and its history not long after that - but it didn’t happen in the typical way other RI clubs emerged in those early years. 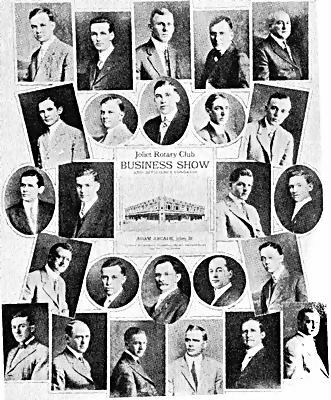 With roots tracing back to 1910, Joliet Rotary began as a Study Club that promoted “the study of business building, efficiency and character building”. The founding group is documented as having 16 members, including John McGuire as president. 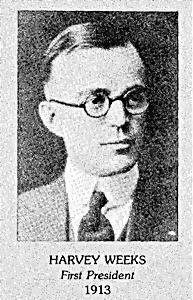 During that same year, club member George M. Lennon attended a convocation for the proposed Arthur Frederick Sheldon School of Business and was very impressed by the school. Shortly after, Lennon arranged for one of its lecturers’ to teach a course in business development, productivity, and character-building on a bi-weekly basis in Joliet. After classes ended, the Study Group continued meeting weekly, naming their group Rotary Club due to a weekly rotation of meeting chairs. Ironically when the Joliet study club formed in 1910 calling themselves the Rotary Club, members had no idea that Rotary International existed and that other Rotary Clubs were forming throughout the United States at that very moment. At the time, it seemed that the same name was merely a coincidence. The following year, the Joliet group learned of Rotary International, attempted to join – and were “firmly” rejected based on the size of their city population. Rotary International’s bylaws prohibited clubs forming in cities with populations less than 75,000. In 1911, the City of Joliet’s population was approximately 40,000 – so they didn’t qualify. But even with prohibiting bylaws, the Joliet club persevered toward its goal of becoming a charter club in Joliet and a member of Rotary International. Rotary International agreed with Perry and amended the organization’s bylaws to include membership eligibility to cities with less than 75,000 in population. 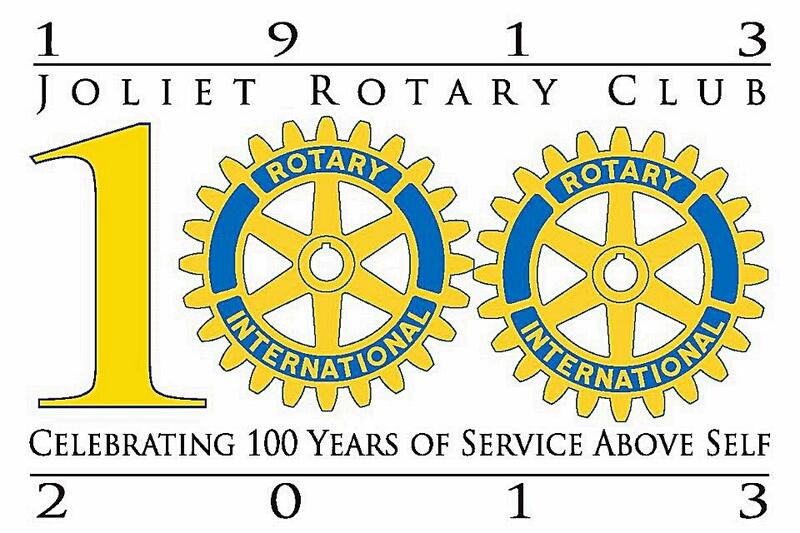 On August 1, 1913 the Rotary Club of Joliet became an official club and Weeks served as the first president. There were 25 documented members. One month later, the Rotary Club of Joliet and its 25 documented members were inducted into Rotary International and have gone down in history as the first city to form a club with a population less than 75,000 in population. The Joliet Club is the 78th Rotary Club chartered worldwide with membership meeting weekly at the Joliet Junior College Renaissance Center.